Hi guys. Yesterday evening I collected just such a toy. 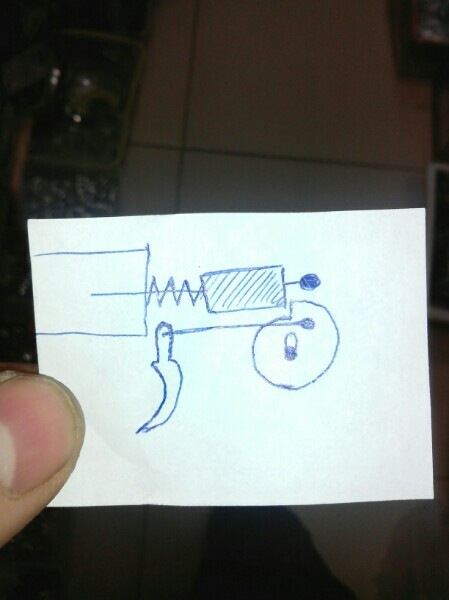 I didn’t plan to make one, it turned out))) A good option for a semi-automatic. I wanted to put a servo on the drummer, but I did not find it. If I understood correctly, it's a balanced valve that you're manually opening, vaguely like this? jackssmirkingrevenge wrote: If I understood correctly, it's a balanced valve that you're manually opening, vaguely like this? I'm having trouble relating it to the video though. 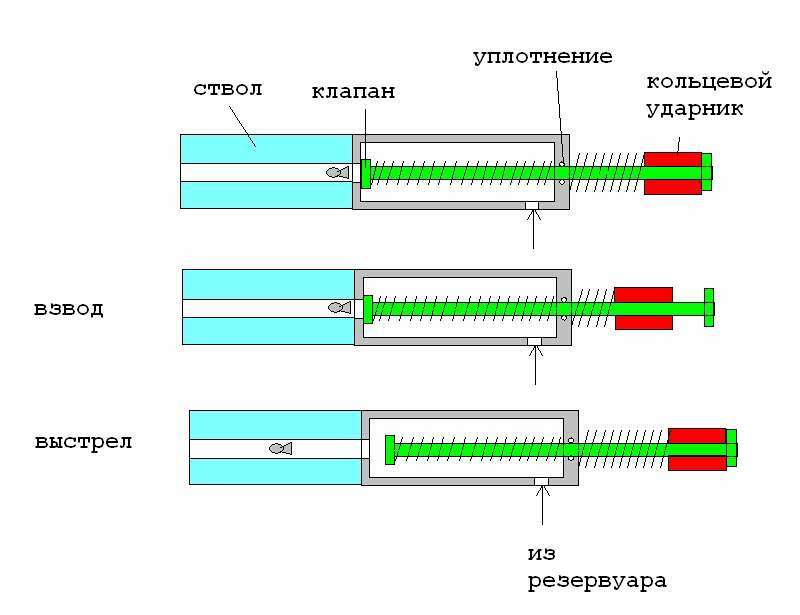 My impression from the diagram is that the trigger pushes the red part forward against the spring. At some point, it is released, and it moves backwards under spring power, and knocks the valve open. I just love your videos. The mechanisms and construction are always good for some thought-food; very unique. Apologies for the terrible picture. Anyhow, it looks to me like a sort of reversed hammervalve, where the trigger taps the end of the piston rod, pulling it back just long enough for a burst of air to leave before being closed by the spring. That's what it looks like to me, at any rate. A bit like your "shock trigger" double action only mechanism but in reverse? Both of you are absolutely right! keks2033 wrote: My impression from the diagram is that the trigger pushes the red part forward against the spring. At some point, it is released, and it moves backwards under spring power, and knocks the valve open.